Yesterday I finally got the chance to visit the new Antinori cellars in Bargino. I had of course heard quite a bit about this imposing, state-of-the-art winery that belongs to one of Italy's (and the world's) foremost winemakers. 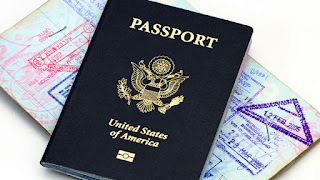 As with all new constructions (especially in this part of the world) it has elicited plenty of mixed opinions, but one thing is sure, you will be hard pressed to remain indifferent after a visit here. You can sense the "weight" of the Antinori name from the moment you enter the gates. The attendant explains in detail how to reach the parking lot… and already you begin to feel overwhelmed. Following the wide and curving driveway you reach the first parking area and if you are lucky, you find a spot. There is a huge spiral staircase leading up to the reception area (or is it to the sky?) 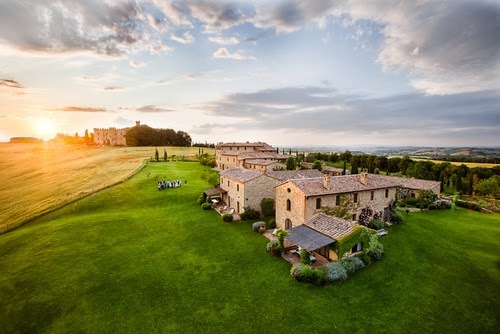 The building is architecturally impressive, with its massive cellars built inside an excavated hill and the wide panoramic terraces overlooking the Chianti countryside. Modern and minimalist, the design is all about forms (especially curves) and materials (like the rust covered steel and copper alloy that makes up most of the structures). 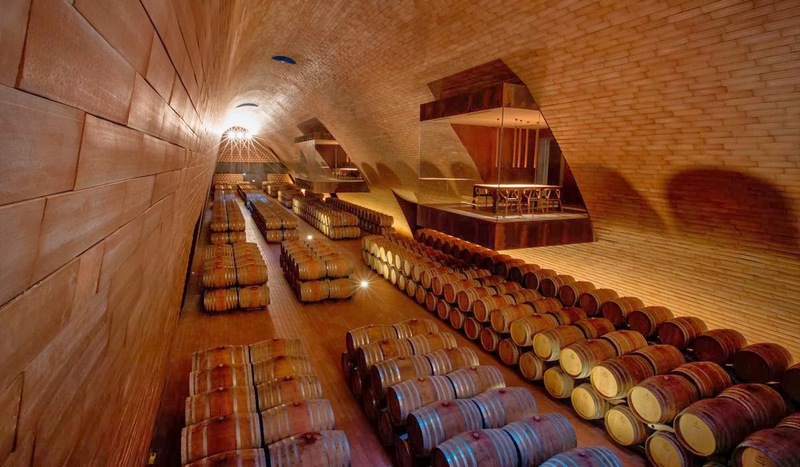 Innovative in the way the cellars are kept at ideal temperature naturally, year round, without any air conditioning or machinery, thanks to hollow vaults and terracotta tiles held together by being lined up in steel tracks one by one, rather than cemented. The impact is clean – both in terms of visual lines and hygiene. 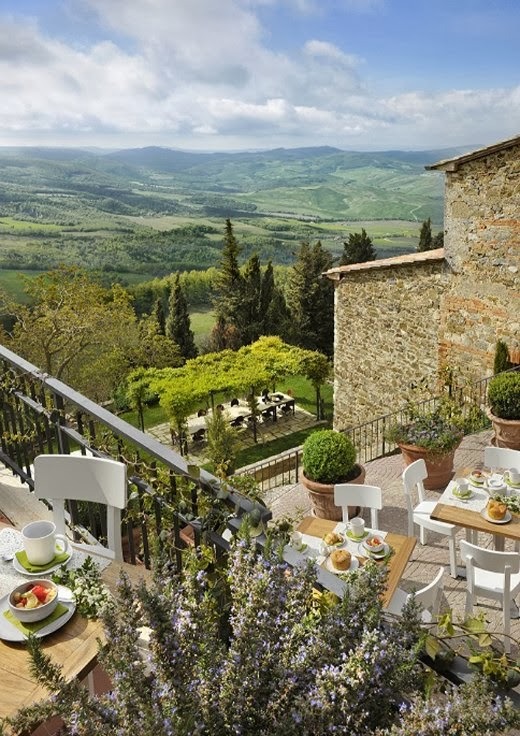 It’s new and everything looks and feels new, something odd for Tuscany. Usually we are used to conservative renovations of the historic. So even the most modern elements are almost always juxtaposed with the antique. Here there was nothing before, other than some vineyards, which now are just rows of seedlings that will take years to become vineyards again – at which point the exterior will certainly take on a totally different dimension. Today it is bare (not because it’s February, but because it has just been planted). 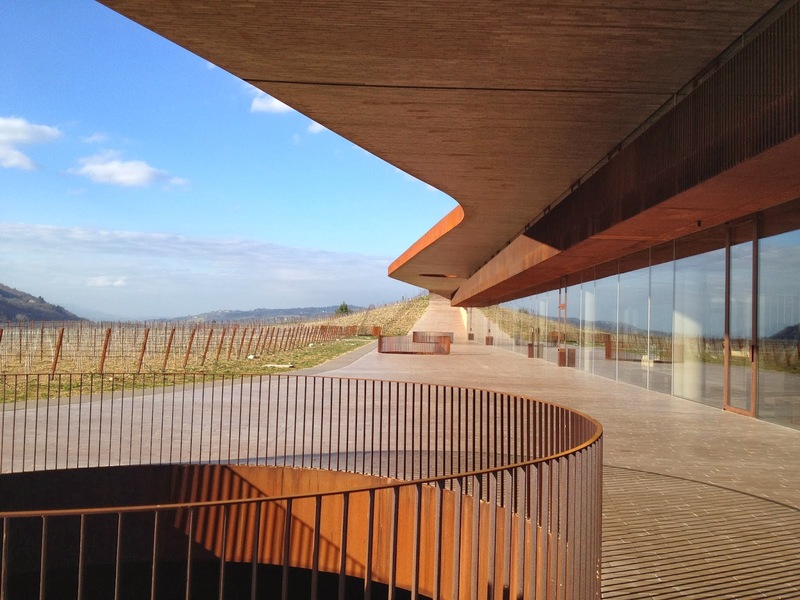 I definitely do think it is worth the visit, as it represents one of the newest and most modern wineries in Italy. However, I would agree with those who have told me that it doesn't feel "typically Tuscan" – because in so many ways it isn't. Here, the history is in the family name and their long legacy of wine-making in Tuscany, not in these cellars which have been opened for just over a year. This is the Italian wine-making industry at its best. 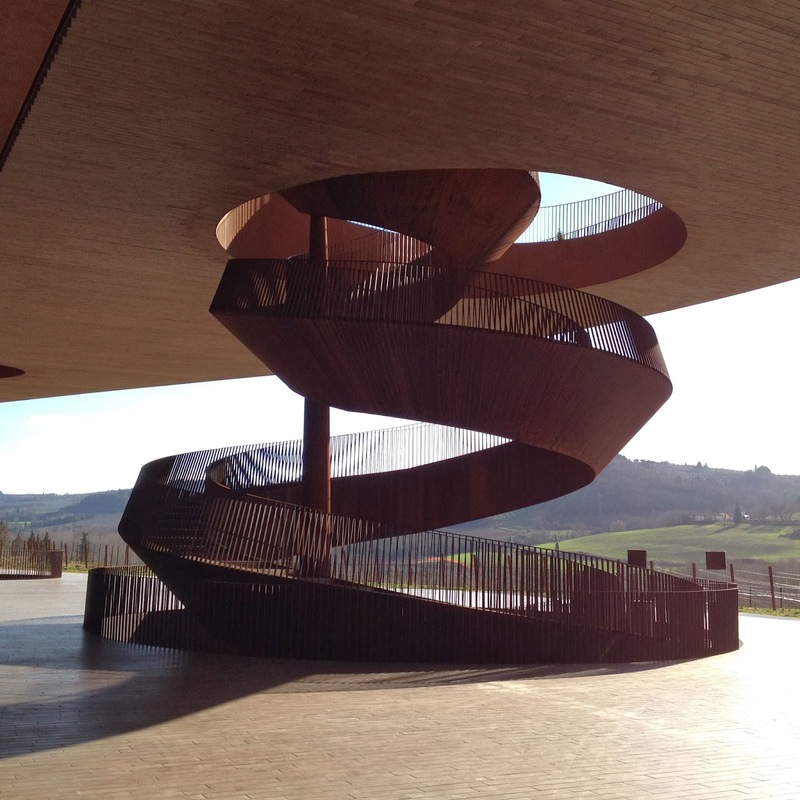 The Antinori family deeply desired to create a monument dedicated to their empire, and they have done just that. Stories of affluent foreigners buying up Tuscany’s abandoned castles and estates are commonplace. Over the past 15 years there have been many significant acquisitions made, especially by wealthy Americans and Brits, which have resulted not only in luxurious private homes, but also in fabulous resorts and award-winning wineries. 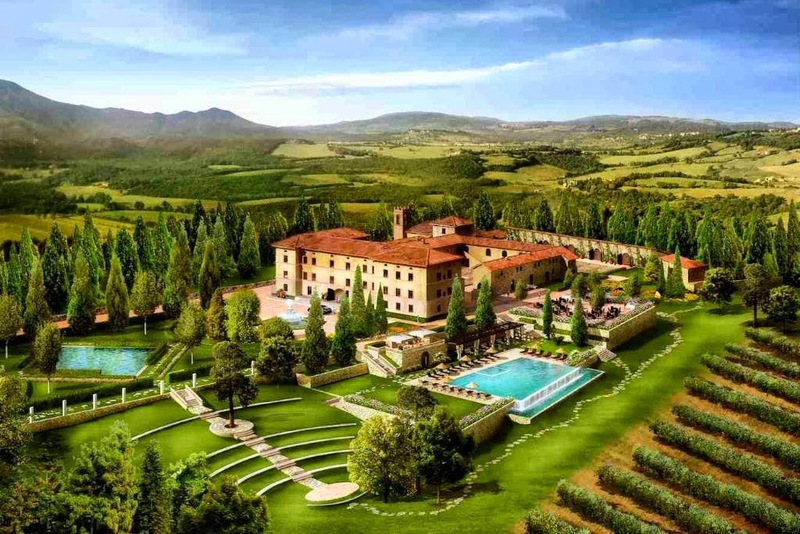 Celebrity names like Sting, Lydia Bastianich, Mario Batali, Frances Mayes might ring a bell, and one of the most famous Brunello wineries is the American-owned Castello di Banfi. More than once, what started out as a house hunting expedition led to the purchase of an entire village! Usually the buyers ended up being blown away by the place – despite finding it in ruins – and the subsequent restoration project turned into a life mission, which inevitably became far more complex than what they had originally imagined. The result, however, can be truly stunning. Just take a look at: Castello di Casole, Monteverdi, Borgo Finocchieto and Castelfalfi to get an idea. Italy’s historic architecture conservation laws are very strict, and when coupled with the exasperatingly slow and complex bureaucracy, reaching the finish line becomes quite a struggle. However, in most cases the foreign owners have demonstrated extraordinary vision and commitment to the preservation of the historic origins of the properties, turning to local experts for guidance and using traditional materials, many of which have been reclaimed from the original structure. The resulting restorations have been beautifully integrated into the surrounding landscape, showing a great respect for the territory. 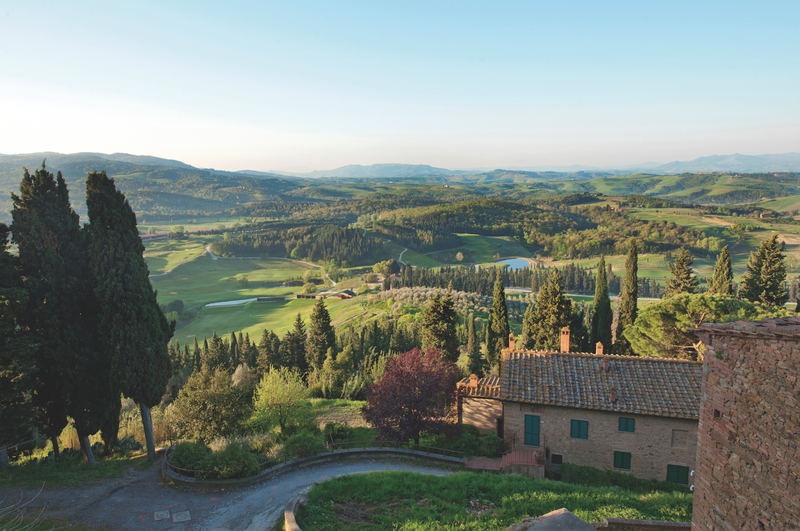 The levels of luxury can vary, but one thing tends to unite most of the projects – an understated country elegance that reflects the best Tuscan traditions. As a foreigner living in Italy, it is especially gratifying to see that so many of my counterparts have been driven by the same passion to become a part of this beautiful country, and that they have done so with integrity and class. Many times I have encountered Italians who have commented on these restorations made by foreign owners, saying that they have shown a greater respect for nature and history than many of the Italians who have undertaken similar endeavors. This is not to say that there aren’t locals who have dedicated great effort and investment to preserve and restore the extraordinary patrimony of this land – but it is noteworthy to mention that often the foreigners are even more concerned with this aspect – as it is precisely what drew them here in the first place. As this market continues to expand, with a growing number of investors now coming from Russia and the developing world, we can only hope that they too will continue the trend of keeping local traditions alive and being respectful of the long heritage behind these extraordinary estates.